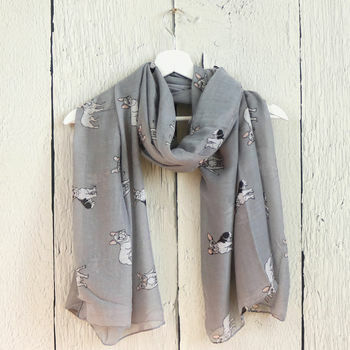 A cute and quirky, lightweight printed scarf, with a fun hand illustrated print of little french bulldogs. 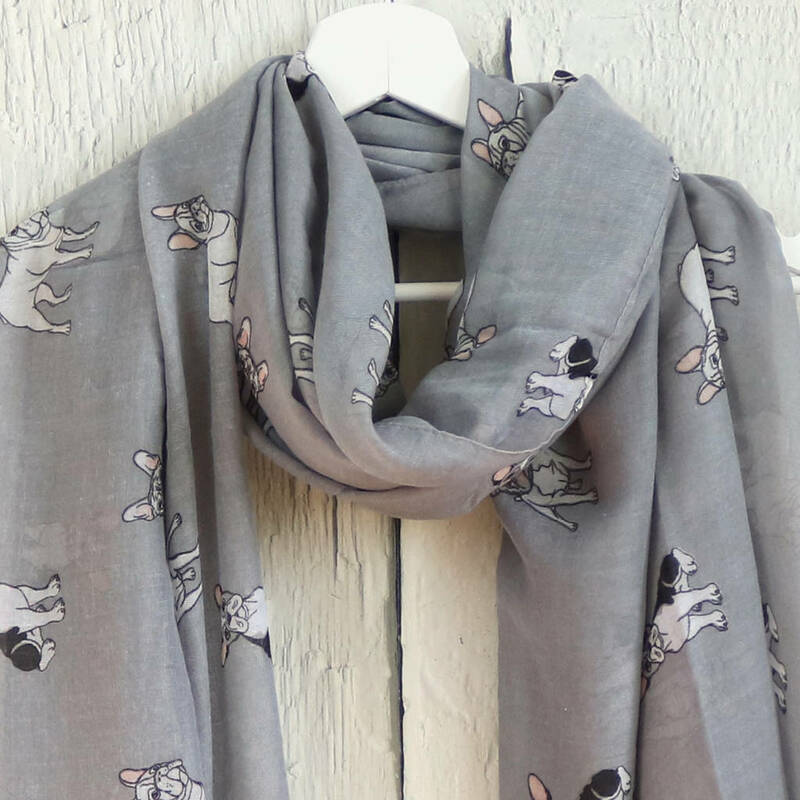 This fun scarf has a sweet pattern of hand drawn little french bulldogs repeated all over the scarf, in a white and black line drawing. 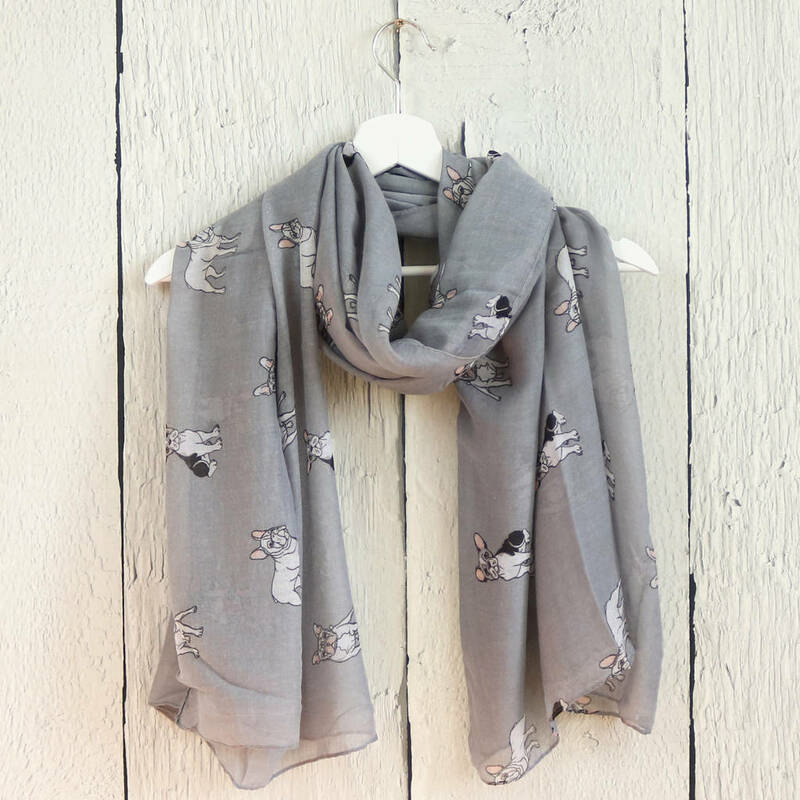 The scarf has a Light Grey base colour. All scarves come gift wrapped in stripy paper bag. This product is dispatched to you by Hayley & Co.